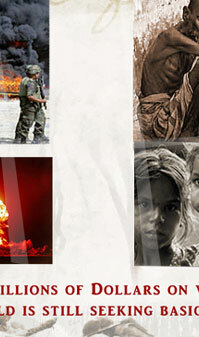 DO WE NEED NUCLEAR WEAPONS? humanity as well as their effective solutions. 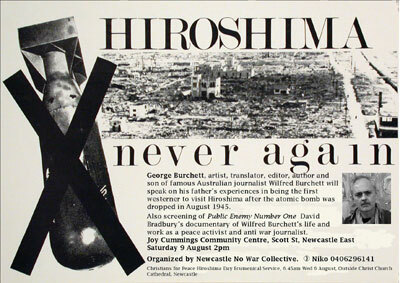 A grim anniversary passed by a few days ago with hardly anyone in the world taking notice of it, except a few. Those who marked the anniversary did so because that particular event they were remembering, affected them in a profoundly painful manner. We realise that all this might sound rather mysterious. So, let’s get to the point straightaway. Sixty five years ago, on 6th August, 1945 to be more precise, a solitary plane appeared in the sky above the Japanese city Hiroshima. The mushroom cloud rising over Nagasaki, Japan. 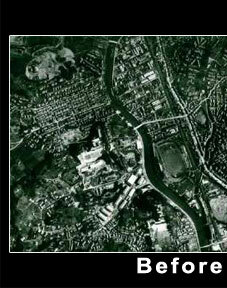 The city of Nagasaki was the target of the world’s second atomic bomb attack at 11:02 a.m. on August 9, 1945. At 8.10 a.m., even as the city was swinging into gear to face a busy day, the plane dropped one single bomb and then sharply veered away to move out as quickly as possible. The bomb was released at a fairly high altitude and at first it just freely fell under gravity. And then, when it was about 300 or so metres above ground, a pressure switch inside it got triggered. The first atom bomb in human history was about to wipe out an entire city, instantly killing about a hundred and forty thousand innocent people, men, women and children. To most of us, that is a mere footnote in history and a number in the book of statistics. But for those who faced instant death in a totally new form, it was too quick to even register. Prior to this historic moment, man used mainly chemical energy to cause devastation through bombing. 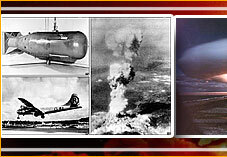 There were two such gruesome bombing missions carried out before the atom bomb was dropped, both towards the end of World War II. 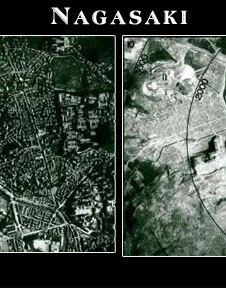 The first carpet bombing was carried out on the German city Dresden while the second city to be so bombed was Tokyo. Bombs were dropped throughout the night, demolishing buildings and setting off fires. In the case of Tokyo, this was particularly effective since most Japanese houses used a lot of bamboo. It was a huge all-night inferno, with death and destruction raining from the skies all night. One would not like to go into the gory details on this event; there is plenty on the internet for anyone interested. The devastation of Hiroshima changed the entire ballgame, so to speak. No longer were required hundreds of bombers dropping bombs all night. One single explosion was enough, and the whole operation could be completed swiftly, and with surgical efficiency. 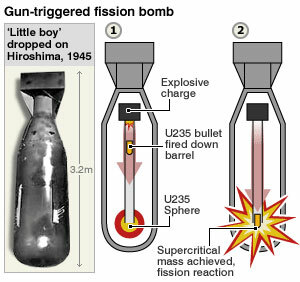 By the way, all the destruction was caused by a small ball of U235, about 5 kg or so in weight. Uranium is a highly dense element, more dense than even lead. Thus a ball of uranium about 5 kg would not be much bigger than a tennis ball; perhaps like a ball used in baseball. Yes, that’s all it took to wipe out Hiroshima. The energy released from about five grams of uranium was the equivalent of what 20,000 tons of TNT would scatter when exploded. When the uranium bomb blew up, it created a small fireball. This might have been very small but the temperature at the centre of that ball was over a million degrees. That is an astronomical temperature, the like of which can be found only in the centre of stars. Along with the birth of a cosmic fireball, a huge blast of nuclear radiation was unleashed. Soon the fire ball expanded and generated a massive shock wave, but ahead of this, thousands of people who were already out in the streets to start another busy day, were exposed to a deadly nuclear radiation blast that killed them instantly. If they survived that, the pressure wave that followed travelling at supersonic speed, crushed all bones in the body, and what was left if any was gobbled up by the fireball that expanded into one big sphere about a kilometre or more in diameter. It was death and destruction on a scale that few had imagined when the atom bomb project was secretly started. Indeed, neither the few who were in the plane that dropped the bomb, nor those who survived, nor even the first responders who arrived hours later, really appreciated the new and deadly power that man had unleashed. No doubt they saw an entire city had vanished with but a few traces of what it once was. 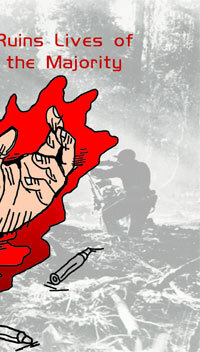 There were survivors who had been badly burnt by the radiation flash, and other such pathetic scenes. 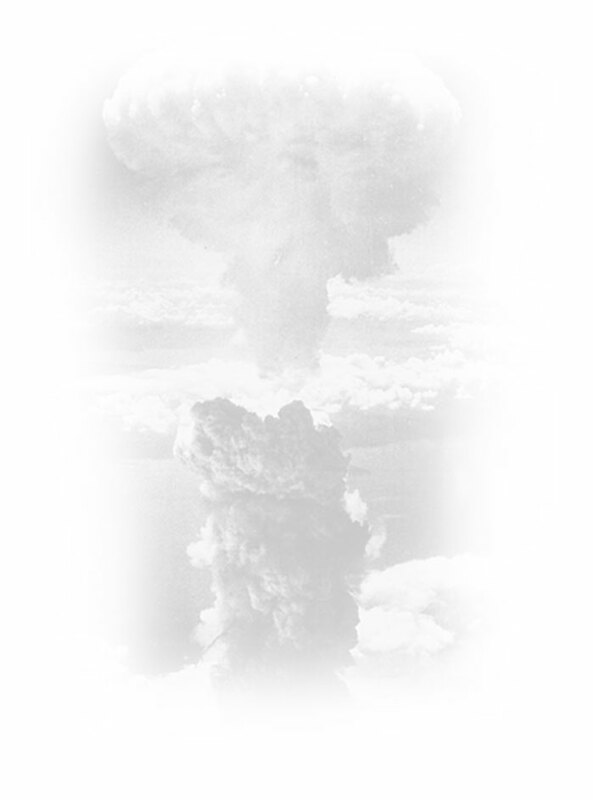 But it took a long time to really reconstruct from various bits and pieces the nature of the havoc that one single atomic bomb could do, and it left a chilling effect on many for whom life, peace and harmony meant much while war was abhorrent. For the militarists, it was wonderful news for there was now a super weapon that one could not even dream of earlier. From a managerial perspective, this new technology could deliver a super-efficient and highly cost-effective weapon that could even end wars quickly by the terror they struck. Indeed, that’s exactly is what happened in the case of the war against Japan. 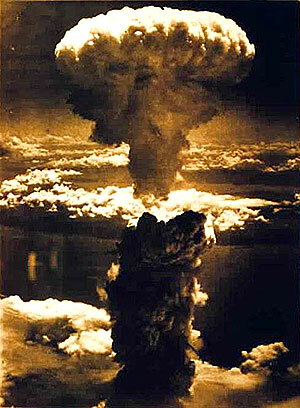 On August 8, 1945, a second atomic bomb was dropped on this island country, this time on the city of Nagasaki. Imperial Japan could take it no more, and promptly surrendered to the Allied forces. 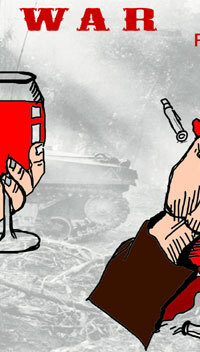 World War II had ended, but alas, few realised that the Cold War and even more deadlier weapons were just waiting in the sidelines to begin a new chapter in human insanity created solely by fear on the one hand, and the desire to dominate on the other. 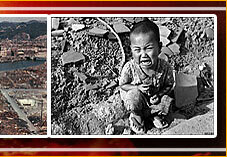 Going back to the event that triggered all this, i.e., the atom bomb dropped on Hiroshima, despite its devastating power, many did survive the atom bomb. Listen now to the voice of one those survivors. What we present below is a recording recently presented by BBC on August 6, 2010, as a part of its daily program WITNESS. 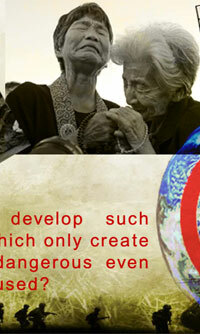 So important is the content of this program that we are, with our humble acknowledgements to BBC and in the interest of arousing your sensitivity to the need for global peace and harmony, taking the unusual step of playing that clip to enable you to listen to a first person account by an actual survivor. Later, we shall reflect where humanity stands 65 years later, and whether we have at all moved closer to global peace and harmony or moved away from it. 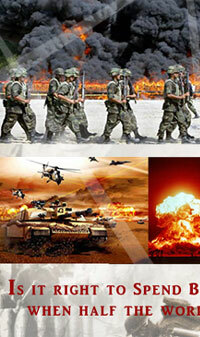 Can Weapons Ensure Peace and Security? The point is no doubt well taken. However, in presenting this special program, we are not trying to point fingers at anybody but at ourselves! 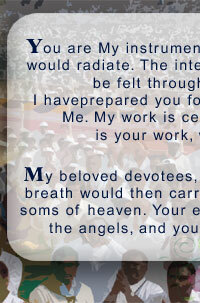 In other words, what we are doing is to ask, as Swami wants all of us to question: “Why are we hell-bent on misusing the wonderful skills and powers that a merciful Providence has blessed us with, to invent more and deadlier weapons? That might go against what is called real politik, but Swami’s priorities are loud and clear! There is a reason why we are drawing attention to all this. In 1970, there were only five nuclear powers in the world, those that are the permanent members of the UN Security Council. Today, there are five more countries, and there is constant worry, particularly on the part of the members of the official Nuclear Club that Nuclear Proliferation is tending to get out of hand. 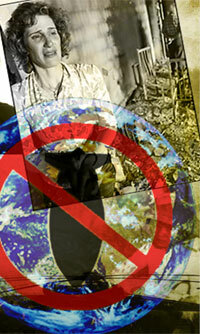 There are already too many nuclear weapons in the world. If more countries try to become nuclear weapon states, then the danger of a nuclear war getting triggered due to a minor or even accidental reason increases rapidly. So, nuclear proliferation must stop here and now, while we the original members of the Nuclear Club slowly work our way to total nuclear disarmament. 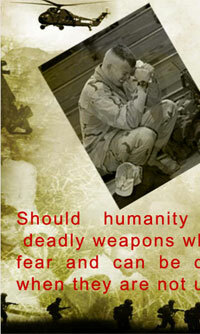 The reaction of the non weapon states is predictable – to put it politely, it is one of complete scepticism. It must be pointed out that there have been many American Presidents who have sincerely believed that total nuclear disarmament is highly desirable and must be vigorously pursued. 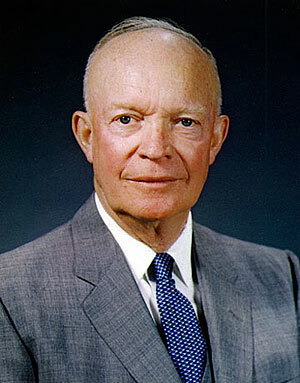 Eisenhower who as a Five Star General headed the Allied Forces in Europe during World War II before he became the President of the US, strongly believed that nuclear weapons must be abolished. Appreciating that this would be a long hard political road to travel, he instead conceived of the program called Project Ploughshare. The name of the project came to him from a phrase in the Bible where there is an appeal to convert swords to ploughshares. Essentially, Eisenhower’s idea was to use nuclear weapons as powerful explosives to build a second Panama Canal, divert the course of rivers to irrigate deserts, help to transform shale underground to oil and so on. Then there was President Kennedy who nearly became locked into a nuclear war with the erstwhile Soviet Union during the Cuban Missile Crisis. He along with his counterpart Nikita Krushchev in USSR, realised that nuclear weapons were very dangerous and something must be done by both to keep their numbers down as also reduce the chance of accidental war. President Ronald Regan came to power as a political hawk. But later in his presidential term he realised that people in the Soviet Union were as scared of America attacking them as people in the US feared a similar attack from USSR. He made bold to meet Mikhail Gorbechev half way, and concluded the first major nuclear weapons. Very recently, President Obama also called for total nuclear disarmament, although he expected it would be a long process. If you think about it, the question is quite valid, especially considering some of the near misses and accidents. Let us start with some of the near misses. This refers to instances where an accidental nuclear war got prevented in the very last minutes, in our view, entirely by Swami’s Grace. 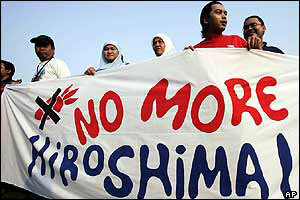 The nuclear attack of Hiroshima and Nagasaki were executed by dropping bombs from a plane. Starting from the fifties, both the U.S and the Soviet Union started loading nuclear weapons on to missiles that could fly across continents in less than half an hour, instead of the several hours that planes would take.This considerably reduced the time for counter attack, and so naturally both groups began to develop powerful radar screens to provide early warning of an incoming missile attack. Thus, the Americans have a base in Thule in Greenland, where they had a powerful radar system watching the skies for missiles from Russia. One day, the computer reported a very powerful signal that suggested that several missiles fired from the Soviet Union were heading towards the US. Politically, there was no crisis at the moment, and therefore the sudden alert indicative of a huge missile attack did not make any sense. 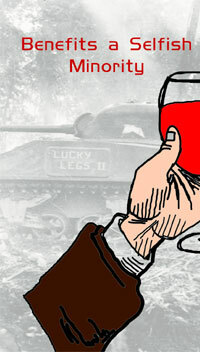 Yet, since war had to be fought and concluded in minutes, there was a major emergency. Was there an attack or not? Hurriedly, checks were done, and it was discovered that what was being detected was actually the radar signal arising from reflection from the Moon! However, due to a computer error, the signal was interpreted by NORAD [North American Aerospace Defence Command] system as arising from a big group of missiles from Russia! And that stopped a counter-action, almost at the very last moment. 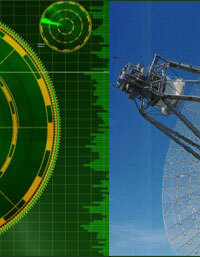 Subsequently, the system designers realised that they never allowed for the radar signal being reflected from the Moon; they never believed that their search signal was so powerful as to reach the Moon and bounce from there. 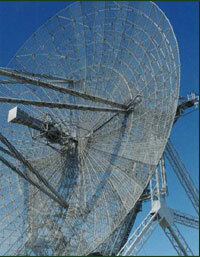 In short, the computer has mistaken a signal coming from over 250,000 miles to one coming from 2,500. Learning from this experience, they then built special safety checks. On January 25, 1995, there was a similar tense moment but in the reverse direction one might say. What happened in brief was the following: The Cold War was long over, and the Soviet Union had disappeared into history. Instead, there was Russia, now trying to be a capitalist country and quite friendly to the US. 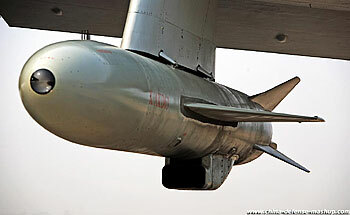 However, the missile shields the countries had built up against each other were still in place. 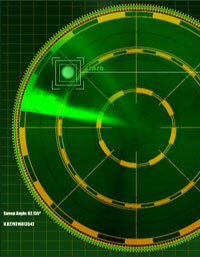 Suddenly that night, the Russians had detected a radar signal. Actually, that signal was a reflection from a US-Norwegian scientific rocket in flight. However, Russian analysts were wondering whether this was surprise missile attack by the Americans. The matter was promptly reported to President Yeltsin. It was rather late in night, and at that time Yeltsin was having all kinds of medical problems, including alcoholism; and he was given exactly five minutes to decide whether or not Russia should counter attack by launching its missile fleet. By Swami’s Grace Yeltsin, despite being in an inebriated state, made the right decision, namely not to immediately attack but have the signal checked out. And when the latter was done, apparently the mistake was discovered! Those were examples of tense, near-misses. And now for some examples of accidents that were, again by Swami’s Grace, far less horrendous than they could have been. 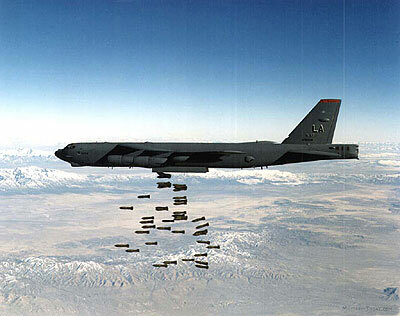 Here is the first one: In the early years of the Cold War, the US Air Force had a program by which several long range bombers were always in the air, carrying nuclear weapons. The idea was that in the event of a sudden requirement to attack the adversary with nuclear weapons, these planes could just fly over to the target and drop the bombs there. 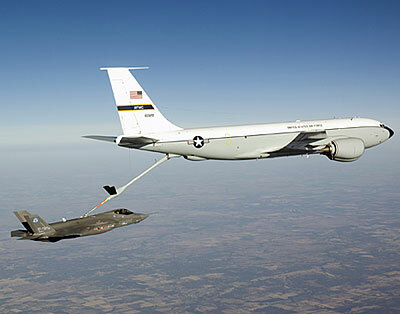 Incidentally, that was when mid-air refuelling of such bombers also became a vital part of the operation. On January 24, 1961, a B-52 bomber with two megaton range nuclear weapons was cruising over the state of North Carolina in the US when the fuel tank in the right wing developed a leak and exploded, as a result of which the plane disintegrated in mid air. Five crewmen survived but three died. By the way it is estimated that the bombs the plane was carrying was about at least a 100 times as powerful as the bomb dropped on Hiroshima. The bombs were so attached that in the event of an accident in air, they would detach, and parachute down. One bomb did that and touched the ground safely as per design; it was quickly recovered. In the case of the other bomb, the parachute did not open; the bomb thus came down with a high velocity, and fell on a marshy plot of land owned by a local farmer. The impact velocity was high and the land being marshy, the bomb just went deep down below, to about 150 feet, it is estimated. 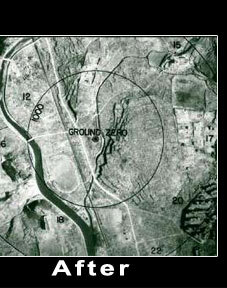 The federal government then bought this plot of land and has forbidden digging beyond a depth of five feet or so; the bomb is still there. One important point must be mentioned here. The bombs were so designed that when they are to be deliberately dropped [as was done in Hiroshima], before the actual dropping, the pilot has to enable a particular switch. In this case, however, the switches were off. Nevertheless, the switches could have got turned on during the explosion in which case there would have been a horrendous nuclear detonation. 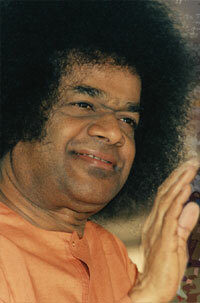 That such a thing did not happen can be attributed only to Swami’s Grace. Now to the next such incident which occurred on January 17, 1966. A B-52 was flying near Spain at an altitude of about 31,000 feet, and trying to draw fuel from a fuel supply aircraft flying in front of it. Unfortunately, there was a collision, as a result of which the left wing of the B-52 broke away and there was an explosion. Both aircrafts crashed. While all the three crew members of the tanker perished, four of the seven members of the B-52 parachuted to safety; three, however died. The plane carried four hydrogen bombs. They were all supposed to come down via parachutes. A search carried out later found that two bombs had landed on the ground. The impact apparently caused an explosion [nuclear weapons have some chemical explosives and it was probably this that had exploded]. The nuclear material had obviously not detonated since if that had happened it would have been a major disaster. However, something else happened, that was not so pleasant. 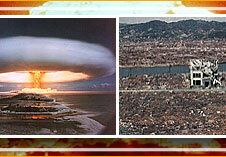 The chemical explosion had dispersed the nuclear material, in this case plutonium, over wide area. Now plutonium is highly toxic, and dispersion poison over a large area is not exactly good news. Incidentally, the nuclear bomb had actually functioned as what has now come to be referred to as a dirty bomb. So, two dirty bombs had been set off. The third bomb was found on a nearby river bed, safe and intact. The fourth bomb could not be found for a while. But investigations revealed that it had come down via parachute over the sea and probably sank. That started a series of underwater searches with a large number of navy vessels taking part. The bomb was finally found to be lying on an undersea canyon with slop of 70 degrees, and at a depth of 2600 feet. Efforts then started to pull out the bomb and it nearly succeeded; but unfortunately, half way through, the rope broke and the bomb was lost. Once more a patient tracking was launched and finally after much effort, the bomb was finally brought to surface. There have in fact many more near misses, including the drowning of several nuclear submarines, complete with their nuclear reactors and weapons. Are We Really Safe in this Nuclear-Weapons Prone Sophisticated World? At this point, we would like to pause and make one thing absolutely clear: Radio Sai is NOT interested in global politics nor in pointing a finger at this country or the other. But this we do need to mention. 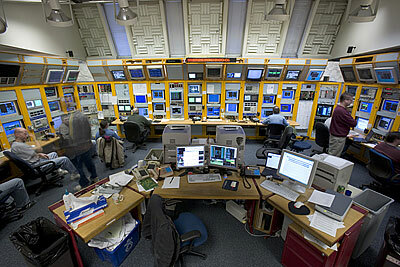 Firstly, the Cold War was largely between two major Super Powers both of which had powerful technology. If in spite of that, there were near misses and accidents of various kinds, which, thank heaven, were not as catastrophic as they might have been, then how much more insecure the world becomes with many countries trying to become nuclear powers, with much less sophisticated technology? More than anything else, today, most military establishments worth the name are linked within via the internet. What with all the hacking being done by geeks everywhere, is it not possible that a crank somewhere might penetrate the nuclear fire wall of some country and set off false signals that lead to real nuclear explosions? Given the number of cyber break-ins and what not, is not the world in greater danger of deliberate nuclear mischief now? If we think about it, the basic question we should all be asking is: “Why should humanity drive itself into a corner with all kinds of enmities and fears, and then develop and acquire such deadly weapons which can be dangerous even when they are not used? And what about the huge expenditure? Is such waste really warranted? Could not all that money have been used for a better purpose? 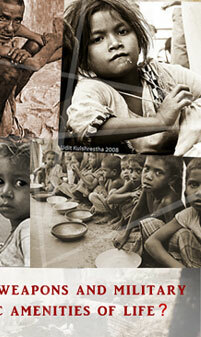 Is this want Swami wants of humanity? We chant every day: Samatha lokhaa sukhino bhavantu – May all beings in all the worlds be happy! If we are serious, should we not think about truly promoting global harmony so that peace prevails trumping nuclear power? Why fear when Swami is here? Fear is born of a sense of insecurity, which could arise from many worldly causes. However, has not the Lord guaranteed us that if we take refuge in Him, He would take care of all our problems? We took the liberty of offering this unusual article for a specific reason. Without a doubt, all of us love Swami. However, at the same time, we should never forget that God does not come to our level just like that. He comes but rarely and only when the situation becomes so critical as to require His presence desperately. Most of us live in comfort zones and do not realise how rapidly the situation is changing on many fronts. Just to give an example: Cheating has become so rampant and widespread that if one goes to a medical shop in India and buys a medicine, there is a 50 % chance that the drug is a fake. Fifty years ago, this was not the case; but today, things are so bad all over the world that the World Health Organisation has expressed grave concern over the matter. Just imagine! There is a loved one in your family who is very ill, and the doctor asks you to get a particular medicine. You go to the shop and shell out a lot of cash and all you get is a fake drug. If people commit such despicable crimes all in the name of making a fast buck, it simply means that there is no fear of sin or Paapa Bheethi as Swami would put it. The sad thing is that so many profess love for God, and yet indulge in immoral activities that are harmful to society without batting an eyelid. How come? 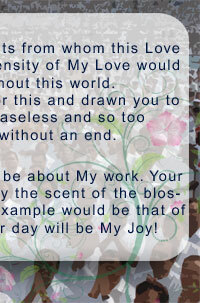 Because they have not really understood what exactly is meant by Love for God. 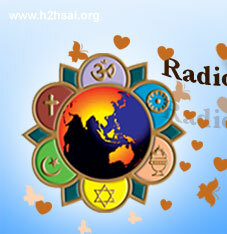 Radio Sai is trying its best to be a part of the global mission that Swami envisaged. No doubt we are doing our best, but the fact is that in relation to what we are doing and need to do and what the world really needs at this present critical juncture, our effort falls short; and that is largely because we are subcritical in number. We therefore appeal to you out there with your multiple and diverse talents to join us. The radio is a wonderful tool, but programs have always got to be prepared and produced by humans. If any of you would care to join us, we really can carry the Sai Avatar’s Message far and wide in many more ways than is possible at present. 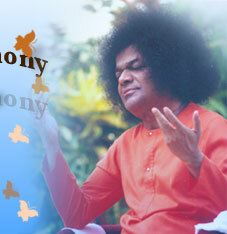 Swami’s Message is His ultimate prasaadam. On festival days, you must have surely seen how many people are involved in distributing the prasaadam. Surely in this case, we would need many more people since this gift is far more subtle and needs delicate handling. Swami often says that the Golden Age is coming. There is however an unstated fine print which is that we have to become active to enable that to happen. Remember that in the Ramayana, the participation of the vanaras (monkeys) in hundreds of thousands played a large part in the eradication of evil! In this Kali age, we do not have to engage in fighting and martial arts! All we have to do is bring the message home, like Swami’s students do during grama seva. 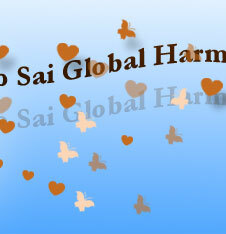 Radio Sai offers the chance to serve the whole world. We hope you benefitted by this presentation, even as we here did while preparing it.